For the third year in a row I had the honor to attend one of my favorite events all year. There is nothing else in this world that can put a smile on my face quite like a familiar Grateful Dead tune can. 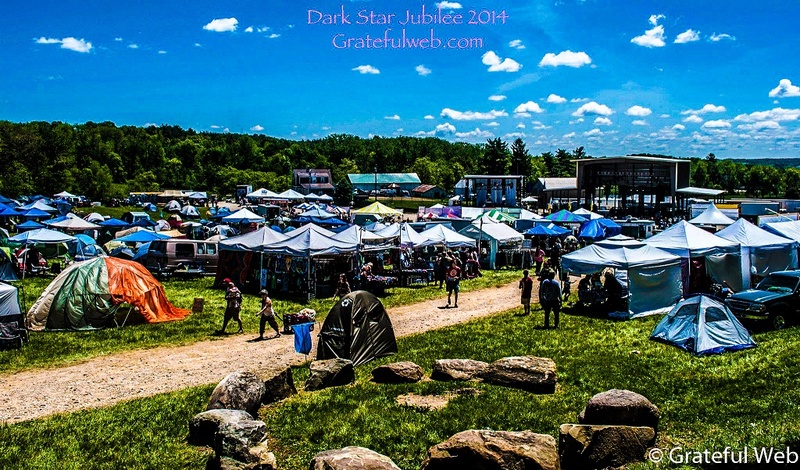 This year at Dark Star Jubilee was just as beautiful as the last three. I couldn’t have picked a better way to spend my Memorial Day weekend. As I walked through the gates, and to the top of the ridge of the pine trees, I remembered what it was like to feel at home. As I set up my hammock between two towering pine trees, I was struck by the beauty of Legend Valley. The Midwest has a certain type of unique and simplistic beauty. The small valley has green grass that stretches as far as you can see in each direction. The green grass, speckled with a few patches of trees, meets at the end of your view with a sky so impossibly blue. A quaint little gray house sits in the valley with a small cow farm in the back next to a brand new permanent stage, built and broken in this year. Legend Valley was the site of my very first festival several years ago, and ever since then, it has felt like home. The first day of the festival, Friday, May 23rd, started beautifully. The crowd slowly filtered in and set up camp. One of the best features of this festival is that you are allowed to set up camp anywhere in the concert bowl. Music didn’t start until 6 p.m. the first day, giving everyone time to get settled and ready for an amazing weekend of music and good times. The first night was a great way to be eased into the festival. 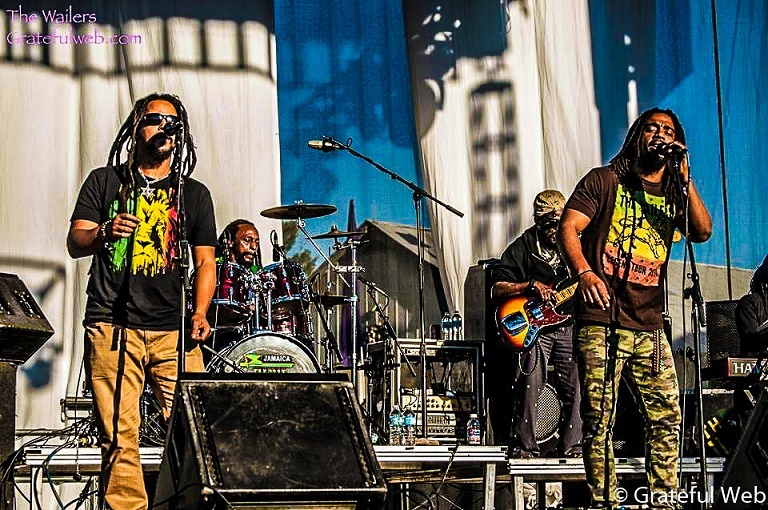 The Werks had the honor of being the very first band to play on the brand new, permanent stage. They played a great opening set, and I can’t wait to see more of them at the Werk Out later this year. 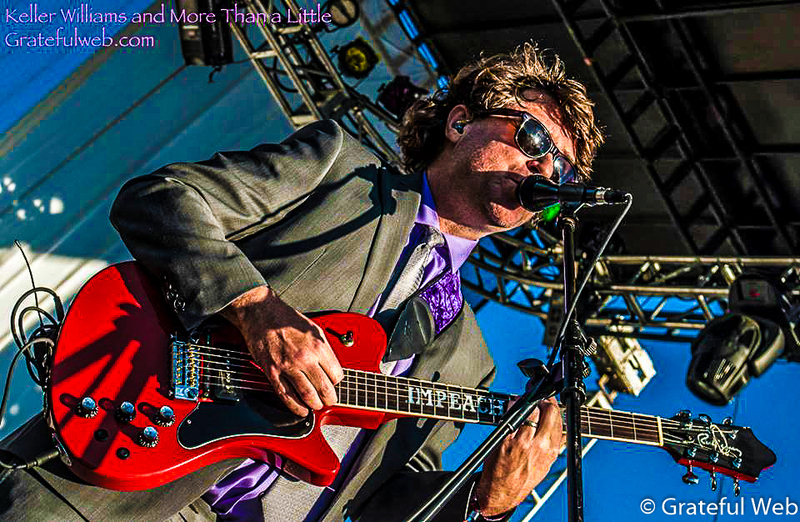 Following The Werks was Keller Williams and More Than a Little. This is Keller’s newest project featuring two beautiful female soul singers and a backup band. This is a new sound he is experimenting with. He is mixing his well-known loop and solo act with an R&B Soul band, bringing a whole new level to his musical performance. He set the stage for the first night of Dark Star Orchestra. 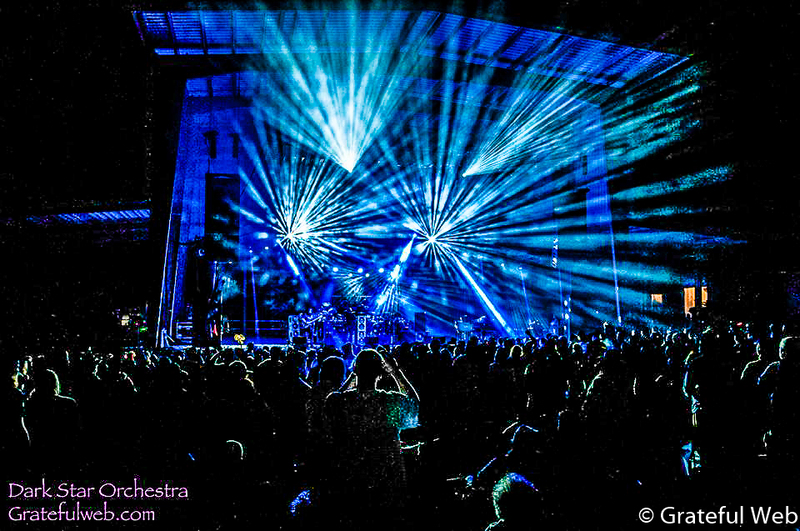 DSO took the stage for the first night and a four hour original set list. I started the set in my campsite, hanging in my hammock, with a perfect view of the stage. They opened the night with “Box of Rain,” one of my very favorite Grateful Dead tunes, but they eventually coaxed me out of my hammock by calling to me with “Cassidy.” Then I was sucked into the whirlwind set where they invited fiddler, Nicky Sanders from Steep Canyon Rangers, to play “Mama Tried” > “Big River; Sugaree; Gimme Some Lovin’.” The first set came to a close with “Might As Well,” and we had no idea what we were in for next. The band took the stage to land us back on planet Earth, they wound us down from the summit they had raised us to, with “Dear Mr. Fantasy.” They encored the set with one of the crowd favorites “Werewolves of London,” citing inspiration from the impending meteor shower. Day one closed with a great dose of some knee-slapping blue grass from the trio “The Devil Makes Three.” I heard rumors of a meteor shower late at night, but only saw two shooting stars myself, realizing that I had not a wish to make, as I was living out a perfect moment in my life. I fell asleep at the top of the hill lined with old Pine trees with the sounds of a drum circle and violin player lulling me to sleep. Day two was just as beautiful as the first day. The sun rose, lighting the sky a beautiful pink which eventually faded to that perfect blue with fluffy white clouds. Music started earlier on Saturday May, 24th and provided a perfect tone for the beginning of my day. Bands like the Devil’s Lettuce, UV Hippo, and The Ragbirds, filled my ears as I cooked breakfast at the top of the hill. The highlight of the afternoon, in my opinion, was the Everyone Orchestra. This was a group of many of the musicians featured in this festival, all playing together for the first time, directed by a man in a crazy white coat and red pants named Matt Butler. He uses a white board to conduct many of the musicians featured at this festival from Dark Star, the Ragbirds, Toubab Krewe, and many more on their first musical journey together. 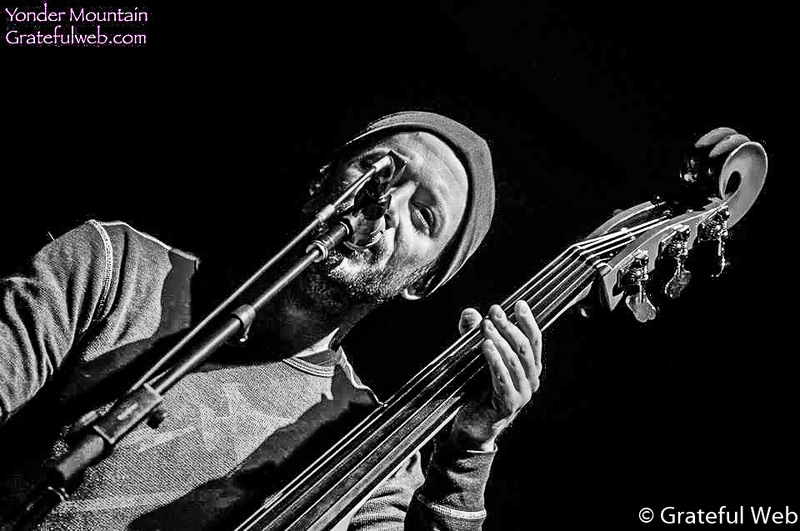 You never know what you’re going to get with the Everyone Orchestra, even many of the lyrics are improvised. Dark Star took the stage, night two, for another four hour set of some Grateful Dead tunes. This time they chose to play a set list originally performed 11/6/77 in Broome County Arena, Binghamton, NY. This set list features some Grateful Dead favorites such as “Tennessee Jed,” “Friend of the Devil” and “The Music Never Stops.” During the first set, they invited the Amazing Giants to the stage. This is a performance group that has been at Dark Star Jubilee in the past. They are dancers on stilts, and they provided a great way to close the first set. Second set also featured some fire performers for “Fire on the Mountain” as Dark Star used the new, larger stage to their advantage. The second set ended with a few spare minutes for the band to fill, which they had no problem doing. They played a wonderful cover of “Dear Prudence,” originally a Beatles tune, featuring once again the amazing fiddle player Nicky Sanders. One of my favorite parts of Dark Star Jubilee is the late night blue grass. 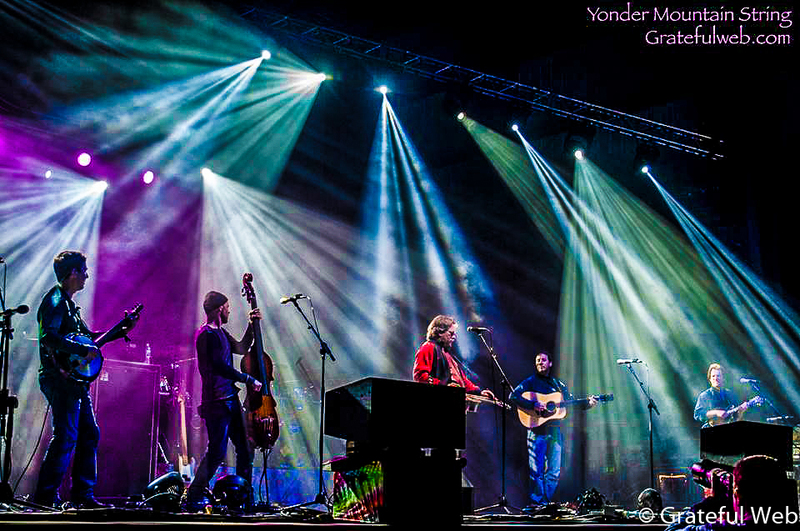 Night two featured Yonder Mountain String Band, and some of the best lights I have seen in Legend Valley. The new stage set up really showed its worth during the YMSB set. The lights could be seen all through the Valley, they were like nothing I have ever seen at this venue. Yonder Mountain with its newest members, brought the night to another perfect close with not a cloud in the sky and every star shining as bright as you could imagine. Day three broke just as beautifully as the first. I spent the morning listening to some new bands for me, AJ Ghent and Aliver Hall and walking from vendor to vendor, enjoying the atmosphere of the festival. This festival is unique in its genuine family spirit. People of all ages and walks of life can feel welcome here. There’s a smile on every face and hugs to go all around. 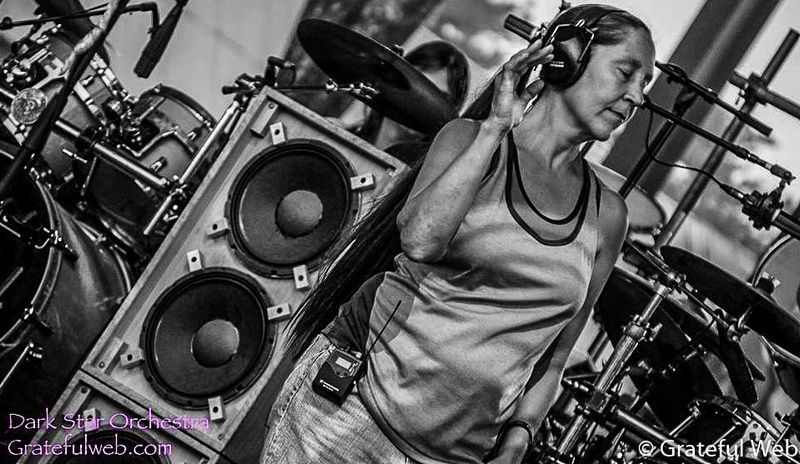 You get the feeling that you are in a place where the best of human kind has come to share the feeling of love and oneness that comes with a band like DSO or the Grateful Dead. It’s hard to express the amount of love that is shared from person to person in a place like this, and I can’t help but wish that every person could experience this just once. Sunday was a day of great music featuring The Rumpke Mountain Boys, a Midwest bluegrass band, Orgone, a first time experience for me, Cornmeal, and the amazing Wailers. It was the perfect Sunday Funday. Dark Star closed night three with another original set list that was just upbeat enough to keep us all grooving, but also down tempo enough to reflect the third night of an amazing festival. This night was just as beautiful as the last two. I couldn’t help but get distracted by the amazing night sky and the lovely people surrounding me. They played some of my favorites, “China Cat Sunflower,” “Help on the Way,” “Slipknot,” and “Shakedown Street.” They closed the festival with “Ripple,” and it almost brought tears to my eyes. The song is so beautiful and I knew it meant it was time to leave this utopia. 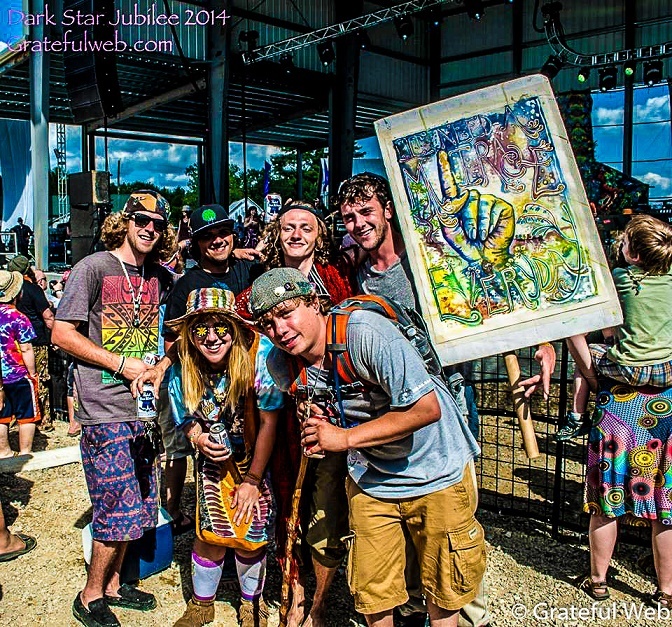 Dark Star Jubilee is truly an example of one of the best qualities of humankind. We have the ability to share love, contagiously. When this love and passion is shared, the beauty it creates will never stop amazing me. Legend Valley is a special place in the Midwest and worth a visit. The energy can be felt in every tree and blade of grass. 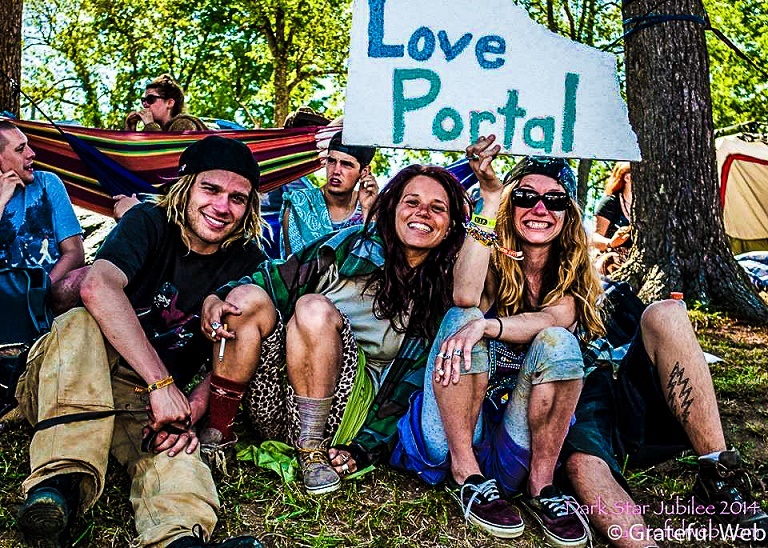 Dark Star Orchestra’s fan base is unlike any other. They value family, friends, fun, and love. This weekend lived up to the last two, and I can’t help but count down the days until next year, when we can all gather again at the Jubilee. Check out more photos from DSO Jubilee.